sounds yummy. i'd like to try it with saltines! I ate enough peanut butter cups last Halloween to put me in a sugar coma. Yet, I've never tried making them. And your version looks simply delicious! wonderful way to blend those excellent flavors, nic! 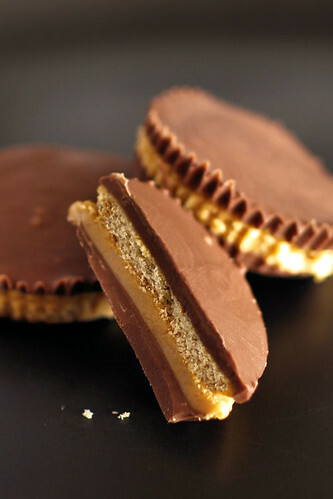 I'm a great fan of peanut butter cups... love the idea of making them at home and the addition of some salty and crunchy crackers! I bet they'd make great Christmas presents, too!